Homeschool Time Management - Look! We're Learning! Today we’re talking about homeschool time management, which helps us deal with one of the biggest obstacles to happy homeschooling in our home: NOT ENOUGH TIME! We have four children, including some with ADHD, plus I’m a full-time minister and I work – so time is extra precious around here. But, I’ve learned a few great tips for managing our homeschooling time and I’m thrilled to share them with you all! I’ve previously sung the praises of a consistent homeschooling schedule and I’m still a huge fan of scheduling. When time is at a premium, using a daily homeschool schedule can literally save your lesson plan. So if your days are extra busy, block out a regular time for your schooling and hold class at the same time each day. 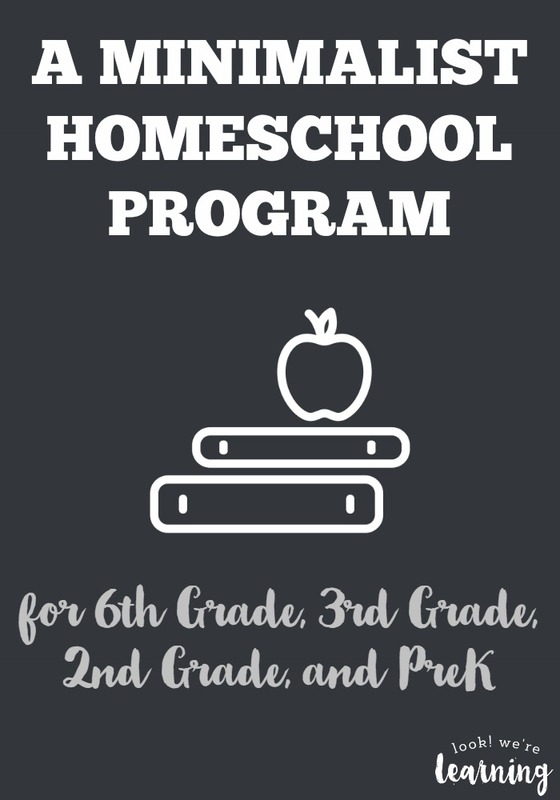 Tricia over at Hodgepodge has a great homeschool routine that works for her family. It involves a great early morning routine that calls for all of the kids to be up, dressed, and ready for school by 8:45. Genius! 2. Delegate Housekeeping to Your Kids! Tristan from Our Busy Homeschool is a homeschooling mom of 8. Eight! One of the things that keeps her homeschool on track is having her kids do chores everyday. She even manages to get her toddlers and preschoolers involved! 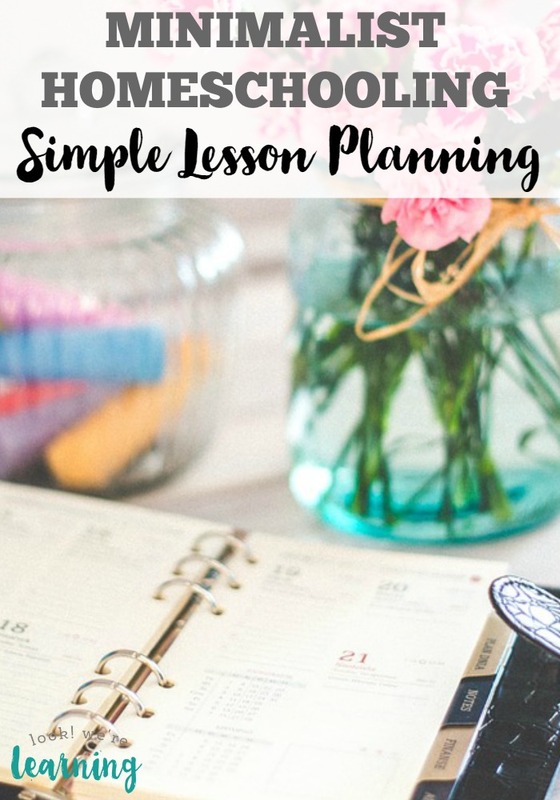 One of the many wonderful things about homeschooling is that we don’t have to follow a regimented lesson plan. We can rearrange our lessons whenever we like. For example, Tigger finished her language lessons early last year, so had a chance to double up on math for a few weeks. Beth at 123 Homeschool 4 Me manages to work in schooling, housework, and errands in a single day! How? She keeps the “school” time to three hours a day and uses other activities to teach, including library visits, storybooks, and educational iPad games. Beth also makes use of the workbox system, which is great for assigning work to each individual child without disturbing the others. Use these tips for better homeschool planning! For even more homeschool scheduling and planning tips, follow our Homeschool Planning board on Pinterest! 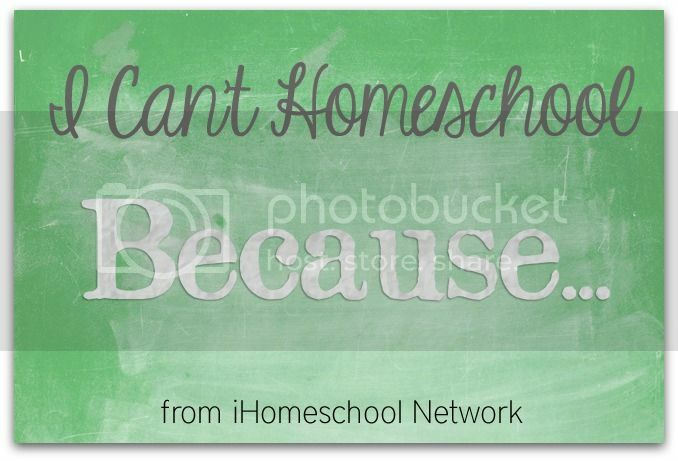 This post is part of the “I Can’t Homeschool Because… linkup at iHomeschool Network! Click on over to read how some of our fellow bloggers overcome obstacles to homeschooling! Thanks for mentioning my blog! I think this is a very common reason people offer too. They look at the work they’re already doing parenting and meeting the intrusive demands of public school schedules and add homeschooling on top of it. 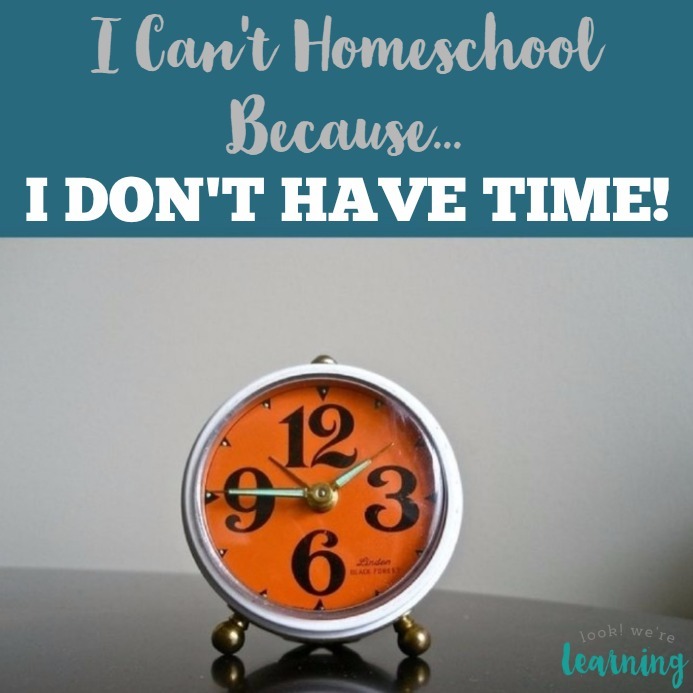 In reality it’s easier on the time schedule in many ways when you homeschool. I know if my children were in public school this fall I would have five children in 3 different schools with different schedules. Crazy! And I would be expected to drag my 3 littlest boys around for those schedules. I love homeschooling because we are able to choose our own family schedule that fits us, instead of following the government mandated, one-size fits all public school schedule. That’s so true! It’s much easier to make homeschooling the focus and then weave your other responsibilities into it. It’s not three separate jobs (homeschooling, homemaking, and parenting). It’s three jobs in one. 😉 Thanks so much for stopping by! Awesome post!! 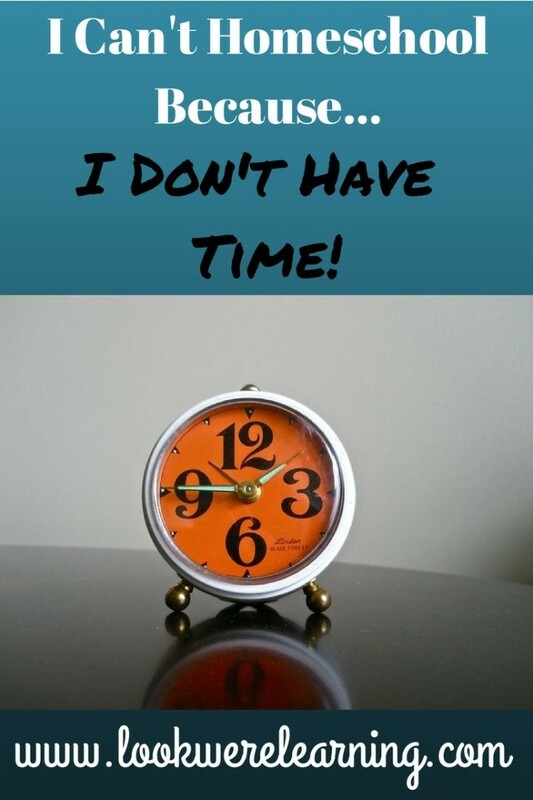 Time management is SOOO important with homeschooling! My husband and I were just speaking of it too. Lots of classes for homeschoolers are taught in the morning in our area. Unfortunately, my kids work much better in the morning. Thus, if we go to a class then their school work doesn’t get done that day. We decided that next year we will stick to only afternoon classes unless it is on our day off as we do a four day work week for the most part. I will check out the books you recommended as well. I have not read them! We have the same issue here with classes. They are generally in the morning, but our free time is generally in the afternoon. So we don’t do a lot of classes either. But I may look into readjusting our schedule on one day so they can try to get some classes in next year. And yes, toting all the kids to a class can definitely take all morning…lol. Great simple advice. My struggle is delegating housework to kids – I need to let go of my perfectionism! Thanks for this! I’m starting kindergarten with my oldest in the fall and with my new passion for blogging I’ve been nervous about how I will do it all! I pinned this so I can read again as I get closer!! 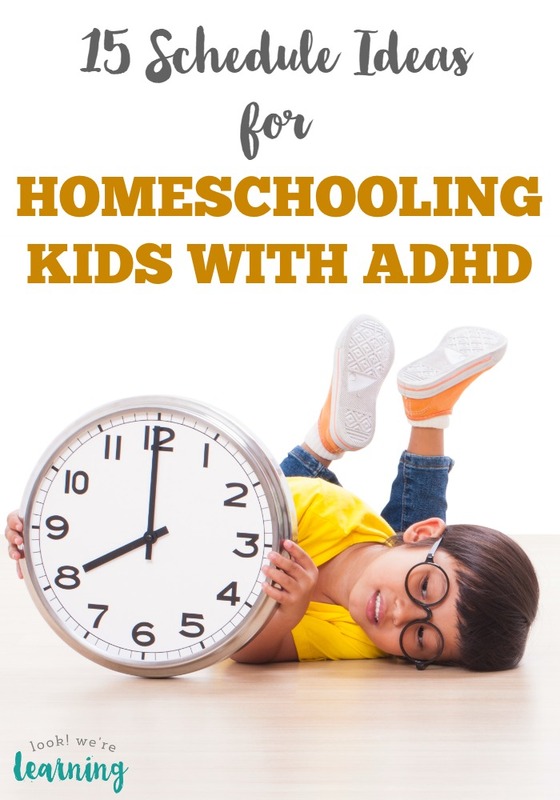 I’m sure this post will be very helpful for those concerned about homeschooling! This is good information….. it does take some juggling, but it can be done and it is so good for us and our children to weave it all together…. great way for them to learn about multi-tasking and more. Thank you for sharing this. Good advice for all Moms! I love getting the kids going on chores. If the house needs to be picked up, I give us all 15 min to work as hard as we can. I give specific chores and they come to me for more work if they finish. When time is up, they generally finish the chore they are working on even though I tell them they can stop. It is amazing what we can get done in that short timeframe. Sometimes we do it a few times during the day and no one feels like they worked all day, but the house gets clean.